Join us for an important evening with officials from the City of Portland. 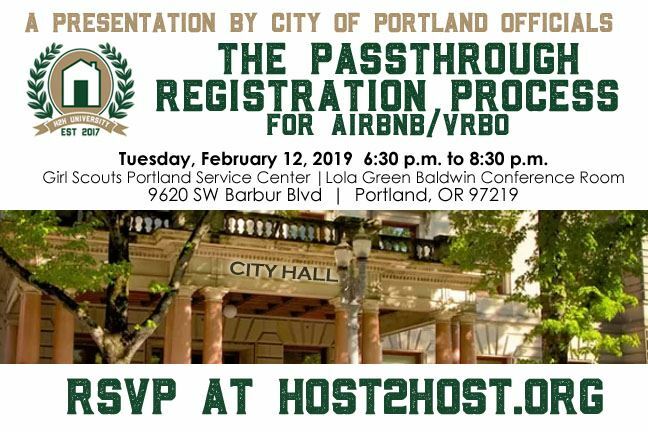 Tyler Wallace, Tax Division Manager and Danny DeSelle, Revenue and Tax Analyst will update our host community on the status of the Airbnb/VRBO "Passthrough Registration Process". Passthrough Registration is the process of STR platforms passing our host and listing data to the city. New and un-permitted hosts will also be required register for a permit via the STR platform in order to be listed on that platform. This began with the HomeAway settlement last February. Negotiations with Airbnb and VRBO have been ongoing ever since. While it may have appeared stalled at times, the City of Portland indicates it is moving forward to implementation. Here is your chance to learn straight from those involved and get your burning questions answered on how this will impact your business. There will be no food or drink available at this venue. You are welcome to bring your own, but alcohol is not allowed on the premises. Members: Host2Host members may reserve their space before registration opens to everyone on Wednesday, January 23rd. We expect a large turn out, so register soon while there is space. Your member benefit includes free attendance at this meet-up event. Members may bring one guest free to one meet-up. (If you are part of a "Household Membership" then both of you are already members - and should register as members, not guests). Non-members: Registration open on Wednesday January 23rd. The Non-member price is $10. Register and make your payment online. 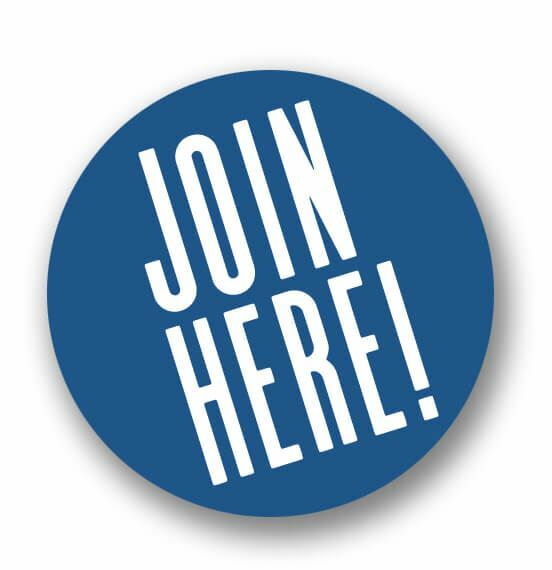 Consider joining as a member now: you'll save the $10 and can register anytime! Photo Release: Host2Host takes pictures at its events for use in its newsletter, website, social media sites and other marketing, as deemed appropriate. By attending this event, you consent to this photographing and grant Host2Host unrestricted use of your image. If you do not agree, please do not attend the meetup. Parking is available in the adjacent parking lot. The Barbur Boulevard Transit Center is located at 9750 SW Barbur Boulevard, next to the Girl Scout building.